April 4 marks date of a horrific incident in the long-gone town of Mondak. (Follow the links to get all the gruesome details.) It’s the date when two local peace officers were shot and the killer was lynched — 95 years ago. It’s why some people claim that when the ice goes out of the Missouri River, that a ghost lurks about the bridge. Some people claim to see a ghostly body floating on ice chunks floating down the river. Mondak 1915 During its heyday, Mondak had at least seven saloons and a number of warehouses to store alcohol. Gambling and prostitution were never legal but always winked at. There were many accidents involving inebriated men, and the crime rate was high for the size of the community. Mondak was a working man’s town right on the border of Montana and North Dakota. “Working women” too south of town, across the railroad tracks. The plan was to make Mondak a shipping town situated on the railroad and the Missouri River. In 1913 and 1914, the big project was the lift bridge at Snowden and Nohly that would carry trains south to Fairview, Cartwright and Sidney, Montana. The real claim to fame for the town was its location — straddling the legal boundaries between dry North Dakota and wet Montana. Not climate, but liquor. A bar on the state line served liquor on the Montana side of the state line. Drinking people from as far as Williston would come down to Mondak to imbibe. As a black man, he was initially welcome in the enclave of buffalo soldiers and other colored men and women who kept to themselves in the midst of the white population. From the Sidney Herald and a story by Debbie Crossland — JC Collins hours before he was lynched. A few Native Americans from the reservations on either side of the area were relatively rare. It was mostly a black and white community. The law officers found him. The town beat the bushes for the killer. They found him. Arrested him. Then broke him out of jail. The mob tied a rope to the bumper of a Ford, tossed over the cross beam of a telephone pole and strung him up. Later they took down his body, tossed it in the river where it landed on a chunk of ice. No one was charged with the lynching. No one admitted to it publicly. Though the families of many of the lynch mob knew what had happened. So, if you are anywhere along the Missouri River between the Snowden Bridge, Fort Union, Fort Buford or Williston. Keep your eyes open at night for a ghostly figure to go floating down the river. Remarkable tales like this pop up every so often. If you want to get a notice in your email inbox, just tell us where to send the notice. 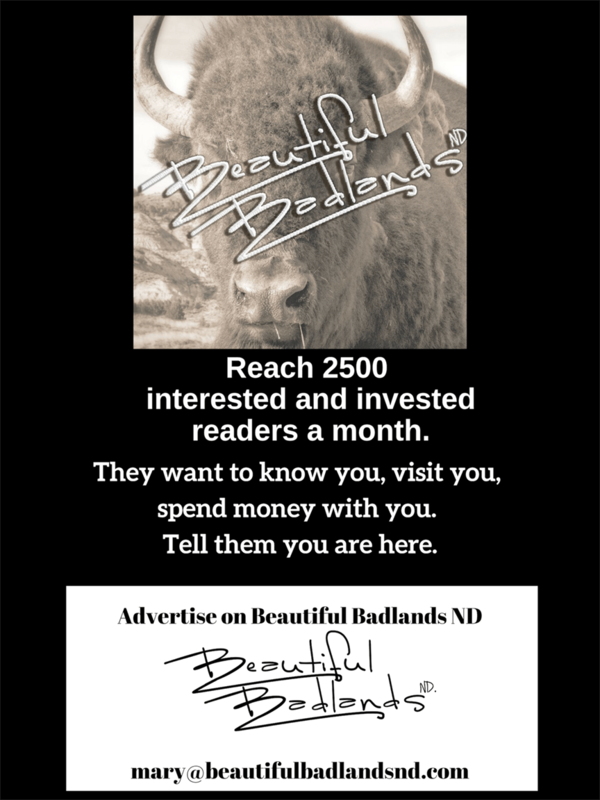 Subscribe up above and you’ll also get a twice-a-month newsletter from the Beautiful Badlands. Of course, it’s not all dark and gruesome. We’ve got proof: Summer brightness is about to descend on the Badlands.